A graduate of Thomas Jefferson University in Philadelphia in 2002 with a master’s degree in physical therapy, Danél Lombard is a licensed physical therapist on a mission to help her patients live pain-free. Her passion is to help people optimize the musculoskeletal mechanism of their bodies utilizing both the scientifically proven techniques of physical therapy and the wisdom of Yoga. Danél’s physical therapy experience ranges from acute care settings – such as acute rehabilitation, geriatrics, and pediatrics – to patients who want to maximize the strength of their musculoskeletal system to combat pain. Through her work of the last 16 years, Danél has experienced firsthand how profoundly nutrition influences health and well-being. Inspired by this observation, she enrolled in a Holistic Health Counseling Certification Program. 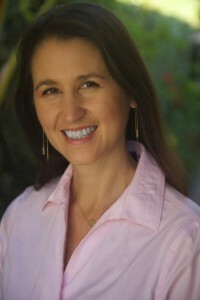 She graduated from the Institute for Integrative Nutrition in New York City in 2008. Danél’s interest in the spiritual and psychological influences of the healing process led her to pursue further training in energy healing and yoga. With the goal of further enhancing her physical therapy practice, Danél received her certification in energy healing from AlixSandra Parness’s Inner Focus Advanced Energy Healing School in 2010. Soon after completing a 200-hour training, Danél was certified as a yoga teacher. Accepted as member of the nationally recognized Institute of Yoga Alliance 9 years ago, Danél now integrates physical therapy with Yoga as effective tools to help her patients heal from and avoid injuries. She encourages them to learn more about the mechanics of their bodies while also stressing the importance of mindfulness, proper nutrition, exercise and peace in their bodies. Danél views yoga as an essential part of her own physical, mental, and spiritual well-being. It brings her great joy to share this practice with others. But Danél did not stop there. With the aim of bridging her various forms of healing modalities and expertise, Danél received her second master’s degree in Depth Psychology and Somatics at Pacifica Graduate Institute Santa Barbara in 2016 where she is currently pursuing a doctoral degree. Through her enhanced experience in psychosomatic psychology and mind-body connection, Danél addresses the various dimensions of her patients’ musculoskeletal health and well being. Her goal is to offer more exceptional and comprehensive Physical therapy services to all her patients so that they can have the stamina and vitality that they dream of having.